This post about losing weight, counting calories and realistic living has been sponsored by McDonald’s but all opinions expressed here are my own. With the new year comes the realization that I have put on 10 pounds somewhere along the way that really needs to come OFF. Not because of what the scale says but because my pants are too tight and I am tired of wearing loose shirts so I don’t notice the muffin top that is starting to show. I have never really had to worry about losing weight….good metabolism and a moderately active life has kept me near my target weight for my entire life. Then I hit 40. Things are starting to hurt when I exercise so I do it less. Combine that with a metabolism that seems to be taking a siesta and those pounds are starting to creep on. 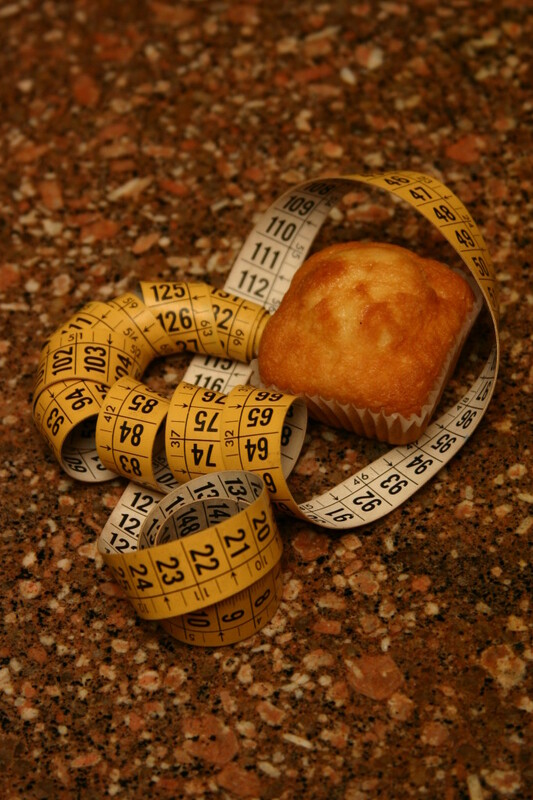 I have never really liked counting calories, measuring my food, or denying myself things that I enjoy. Besides the fact that I am pretty sure that people who live on bean sprouts and tofu all day every day must be incredibly cranky. I honestly have no idea how many calories a person of my size/age/weight should be eating. Or how many calories are in my favorite breakfast cereal, a baked potato or a grass fed ribeye steak. Losing weight is going to be tough unless I get a handle on this calorie counting thing so I decided to start investigating. Here is what I found out…. My favorite margarita at the local Mexican restaurant has 153 calories in it. Or, I could eat 5 cups of air popped popcorn. I think I would rather have the margarita but that is probably not the wisest diet choice. A baked potato has 128 calories. But that is only if I leave off the cheese and sour cream which is the only part of the meal I really want anyhow. One roasted chicken thigh has 236 calories. That is assuming I take the delicious skin OFF the chicken and give it to the dog. Yeah, like I have that much willpower? I think not! Tack on another 50 or more calories for the skin and I will have HALF a margarita tonight before bed. I need to find a way to watch what I eat, limit the calorie intake and still be allowed to eat real food when I am hungry. Being busy means I sometimes buy prepackaged foods, stick snacks in my purse to eat in the carpool lane and occasionally hit the drivethru when the days get too long. The key to me losing weight without spending the next 6 months cranky and hungry is going to be making smarter choices as often as possible. 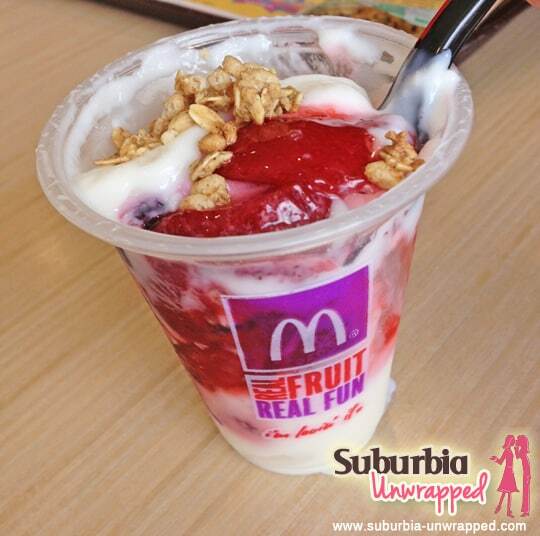 I have blogged in the past about some of the healthy items at McDonald’s. I love their oatmeal and the Eggwhite Delight when I need breakfast on the go. The fresh fruit parfait and the Pomegranate smoothie have kept me going on many a busy afternoon. These are all items on the Favorites Under 400 menu at my local McDonald’s. Their premium salads are filling and make a good sized lunch even when you are counting calories. I can even splurge on french fries occasionally for a much needed salt fix without destroying my diet completely. PMS happens in real life and french fries make me a much more pleasant person to be around when it does! I am curious about how the rest of you are going to deal with losing weight in the new year. Do you count and track your calories in complicated computer programs? Do you turn to technology to tell you how many calories you have burned throughout the day? Or do you just wing it and hope the pounds start dropping off? So far that method doesn’t seem to be working for me so a little guidance would be helpful! Now, I am going to go and eat a very UNhealthy snack before bed knowing that I have 3 more days until my ‘New Year, New Me’ program is going to start. Maybe I will add a margarita for good measure. I will worry about those extra calories next year. I wonder how far I have to walk to work off a margarita?